The 12" Black Camper Machete with the "D" handle is an excellent choice for campers, hunters, landscapers and many others who are looking for a tough chopper. The black polymer handle is super tough. 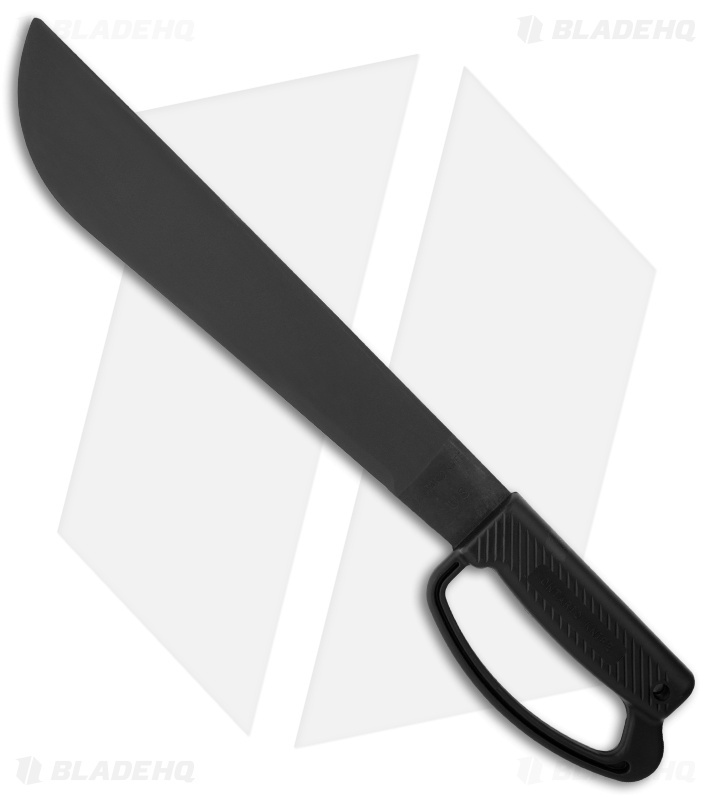 The black 1095 steel blade is zinc phosphor coated and has a flat ground edge.